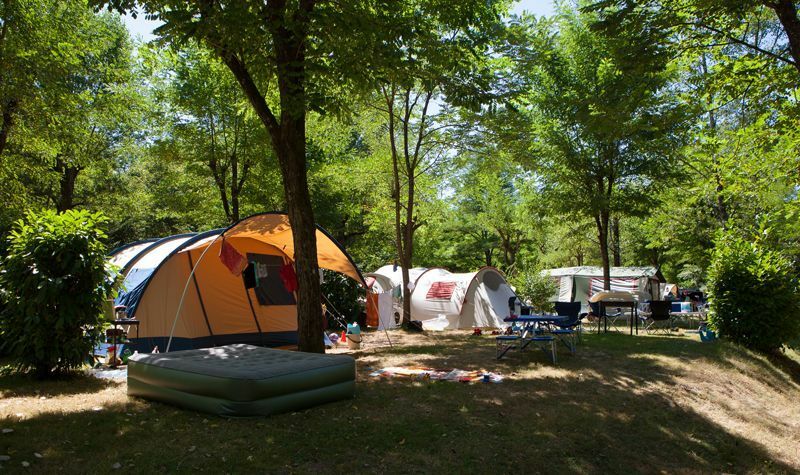 Place your caravan, or your tent on one of our pitches on the Soleil d'Oc campsite amidst the greenery, in the sun. The pitches are spacious 100 to 140 square metres either in the sun or the shade. They are well marked by a variety of hedges and shrubs. 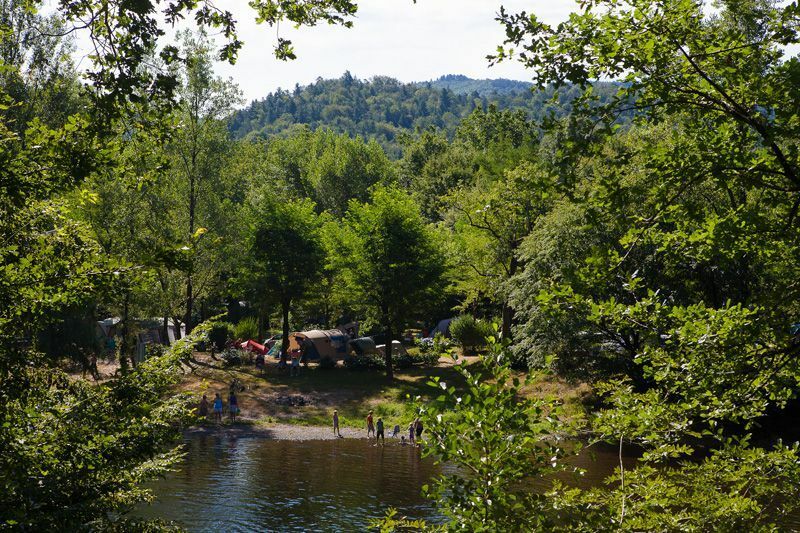 All the camping pitches are equipped with 6A or 10A electricity amps (French or European connections) and there is a water tap nearby. If you have a preference of site, you may ask for this when making your reservation. According, to our plans, we will do our best. 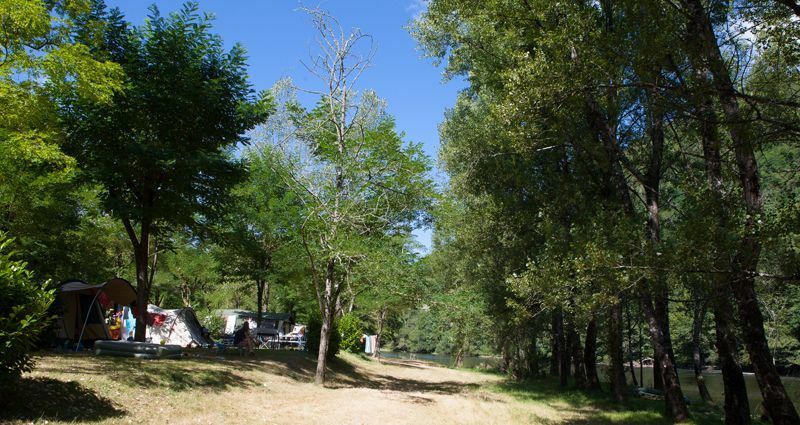 Discover our campsite pitches for your camping holidays in the Dordogne Valley: Amongst the vegetation, or on the river bank. 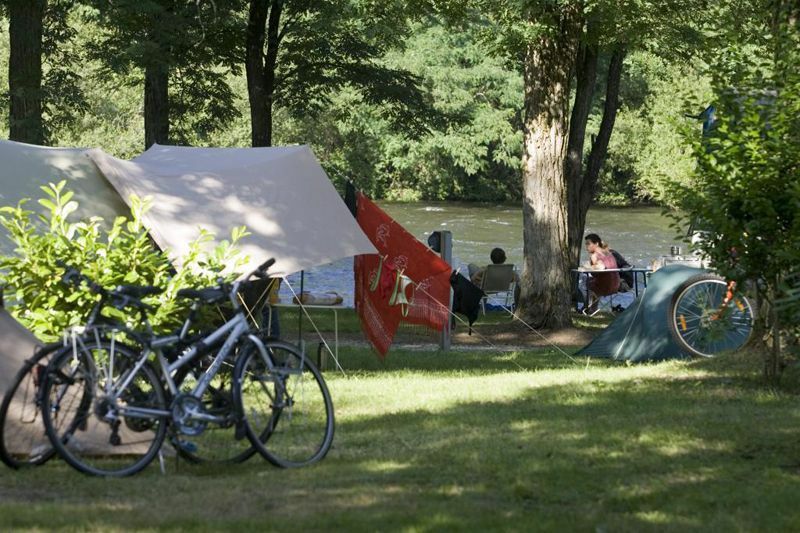 Come and camp on the riverside of the Dordogne river and enjoy the services of a 4-star campsite. 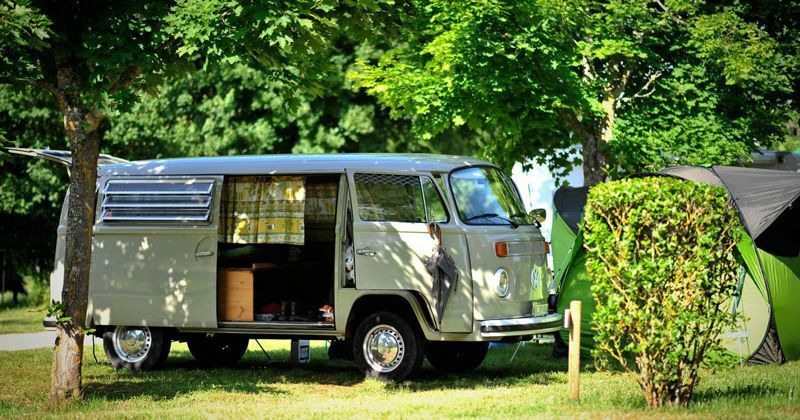 For caravans, tents and motor homes with private parking for your car. Enjoy a well maintained environment with shrubs, trees and flowers. The pitches are made for 6 people maximum with a vehicle. 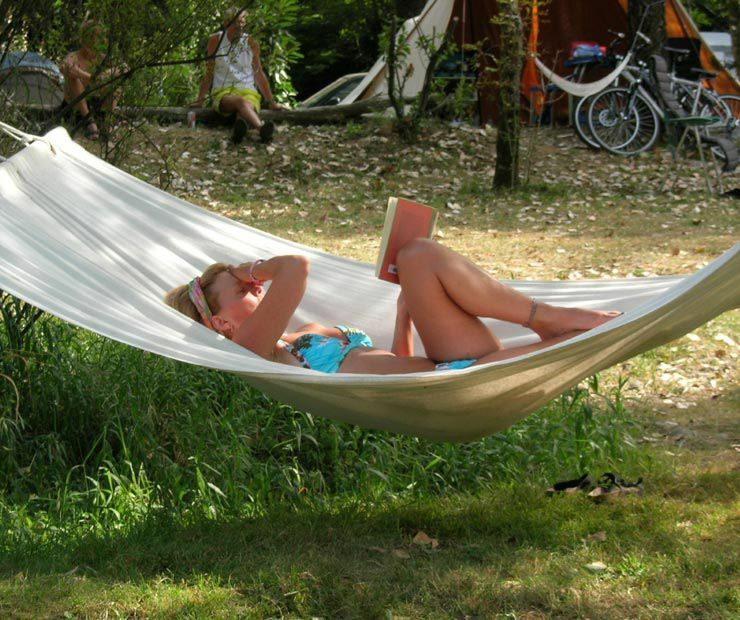 The family pitches (side by side) are for two families staying together on our Dordogne campsite. Fully vaccinated animals, kept on leads are accepted. 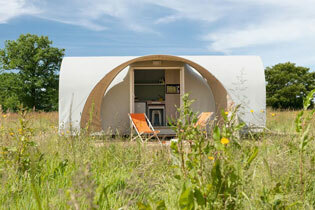 The Airotel Soleil d'Oc campsite on the riverbank has good sanitary facilities, integrated into the countryside. The two sanitary blocks are equipped with hot showers and the toilets have hot and cold water. There are cabins with shower, basin and toilet plus sinks for washing up and washing laundry, a washing and drying machine, a baby area with baby bath as well as cabins for people with reduced mobility. The sanitary blocks are cleaned twice a day and inspected regularly to offer a quality service for all our clients. A stop for motor home enthusiasts on the tourist circuit in the Dordogne Valley. 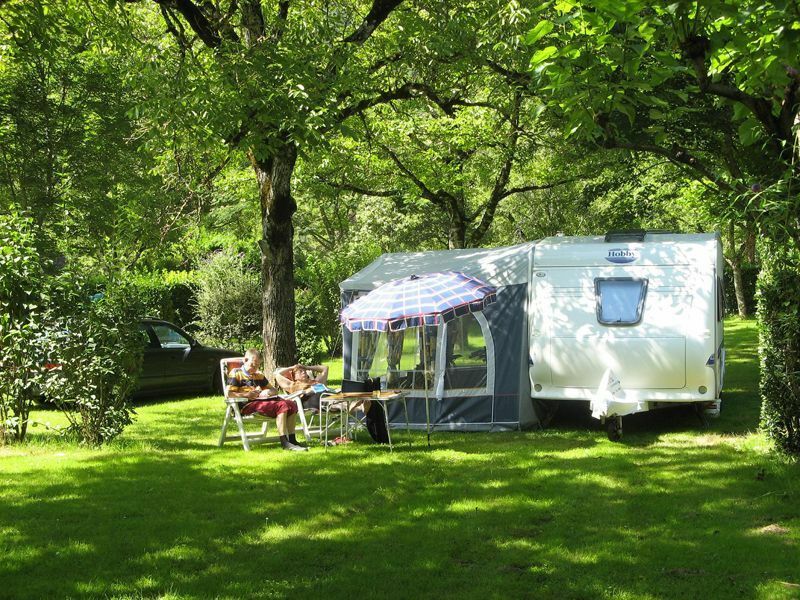 The four star Soleil d’Oc campsite between Argentat and Beaulieu sur Dordogne has spaces especially for motor homes with areas for emptying used water and refilling with drinking water. The parking place is spacious and flat measuring 80 square metres. We have prices for the high season and the low season.